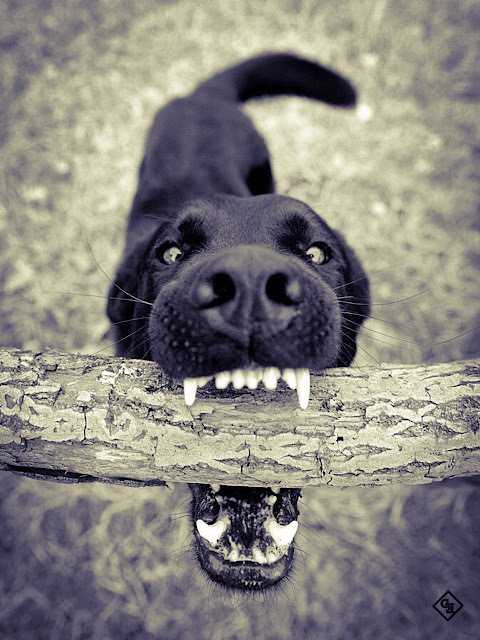 daily timewaster: Take the stick. Go ahead, take it. Take the stick. Go ahead, take it. I wonder if wolves would play catch with a stick? I had a coyote, raised from a pup, when I was a kid. Dusty (coyote) wouldn't fetch a stick but he was addicted to a baseball. The tennis balls lasted about two throws, so I upgraded.